Listen to Anna’s most recent podcast guesting, an interview with Whitney Sewell. In this episode, Whitney interviews Anna Myers, Lead Underwriter for GroCapitus. Anna controls over 200 multifamily units in 5 different states. Anna shares how you can mitigate risk by conservatively underwriting a real estate syndication deal. You will learn how Anna successfully found a mentor in Neal Bawa of Grocapitus who showed her the ropes of the business. How do you analyze T-12 documents and analyze expenses while studying a new deal? What are some good resources for accessing data and predicting the future performance of a property? Anna also reveals different debt options, their pros and cons which helps SIMPLIFY the complex process of deal raising. Listen to this informative show now! 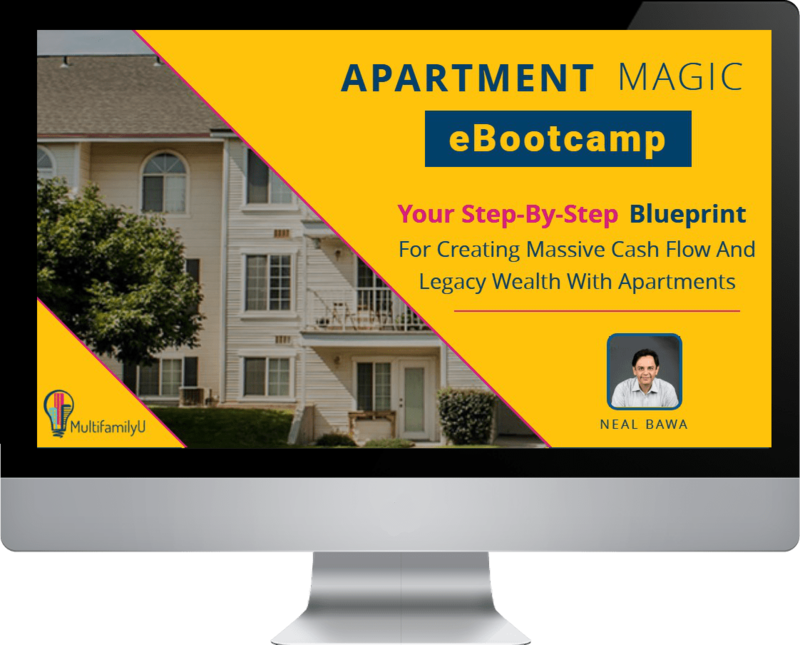 [00:57] – How did Anna transition to the real estate syndication business? [17:40] – Are there industry standards for expenses in the syndication business? [22:45] – What are the different debt options available to syndicators? [24:35] –Should you opt for a bridge loan in order to crack a syndication deal in spite of its risky nature? [26:13] – What is the BIGGEST mistake that syndicators are currently making? Announcer: Welcome to The Real Estate Syndication Show. Whether you are a seasoned investor or building a new real estate business, this is the show for you. Whitney Sewell talks to top experts in the business. Our goal is to help you master real estate syndication. And now your host: Whitney Sewell. 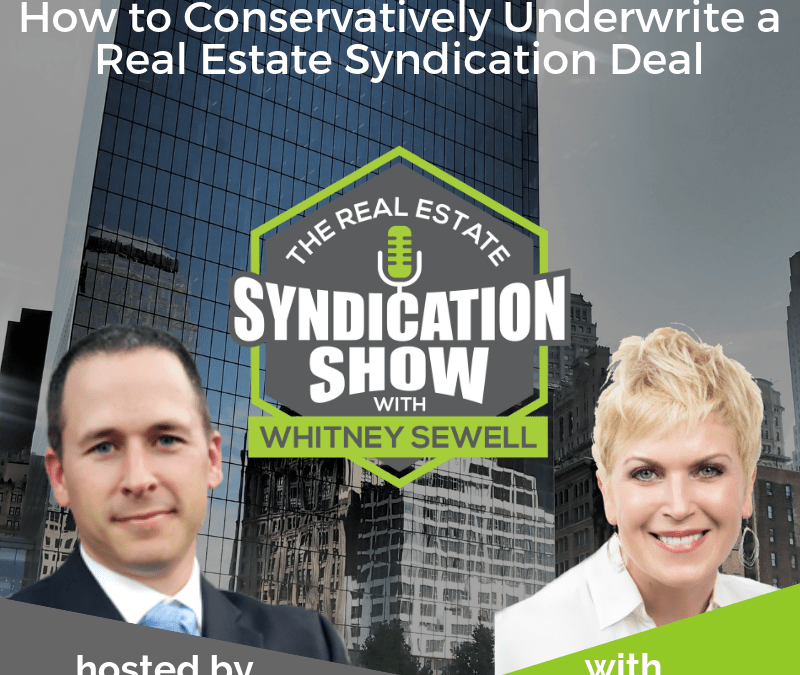 Whitney: This is your daily real estate syndication show. I am your host, Whitney Sewell. Today our guest is Anna Myers. Thanks for being on the show, Anna. Anna: Sure! Nice to be here, Whitney. Whitney: Anna grew up in a commercial real estate family. She has a strong background in financial programming and data analytics, and she is the lead underwriter for Grocapitus Investments and she also teaches underwriting to students at MultifamilyU. Anna, just to get us started, why don’t you give us a little bit of your background and specifically how you got into the syndication business. Anna: Sure. Growing up in a family surrounded by commercial real estate, I kind of took it for granted and of course, I’m the youngest grandchild of 16. My grandfather was quite a real estate maverick in his time and actually bought orange groves and walnut groves in LA and built shopping malls. He was quite the mover and shaker and that was kind of the foundation of our commercial real estate. But being the youngest grandchild, of course, I didn’t understand much of that, so I didn’t really go into commercial real estate when I started going off into school. I went into programming. I became a computer programmer and I love data analytics and systems engineering and I did that for a long time, and I think that I also spent, during that time period, I spent a good deal of my programming time working at a finance shop, so I did a lot of spreadsheets and then built a lot of database systems that took spreadsheets to, of course, a different level. Then over time, I started managing large teams of programmers worldwide, creating very large projects. I do like to scale things and so I think that the programming aspect obviously leads into underwriting and the scaling aspect of what I like to do leads into syndication. The way that I got back to real estate from programming is that I was working my tail off. I’ve always been an entrepreneur, I’ve always worked for myself. I have an S-corp that’s over 20 years old at this time, so I was always an independent. And then when the tech industry crashed in 2000, I said, “I am not working for the wages that they are offering these days,” so I actually started a digital photography studio, which was another passion of mine on the side, in the Bay Area. While I was then, as a photographer working my tail off, I learned pretty quickly that two things come with being a successful entrepreneur and that is success and taxes. The problem I figured out—the solution to the problem was real estate. I continued to work as an entrepreneur, but I started investing out of state in single family homes and some small multis to try and get my taxes handled. Of course, that was a brilliant solution and that really helped. In the process of that, I realized that photography really doesn’t scale and if I want something scalable, that real estate scales much better. I started focusing much more of my time on real estate and angling away from photography and into real estate full time. During that process, with my data analytical mind was always creating spreadsheets and trying to find markets based on metrics and just making my way that way and that’s when I found two things. 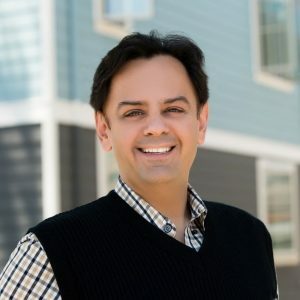 I found multifamily, which made so much sense to me, once I really saw the numbers in multifamily, and I also came across from an education standpoint, I came across Neal Bawa and his teachings really resonated with me, because his approach, which is basically as data scientist and applying data science to real estate. It just made so much sense to me and I started volunteering for his MultifamilyU Bootcamp. I took it as a student and started volunteering for him and in no time, through my volunteer efforts and me being able to spend more and more time interacting with Neal, he asked me to start working for him. It led to me becoming a full-time underwriter for Grocapitus. Grocapitus is a syndication company located in the San Francisco Bay Area. But I think one thing that intrigues me about Neal’s approach again is that we don’t just invest anywhere. We always are looking at the underlying market and metrics and that’s what helps to ensure our investor’s success in their investment, is because the underlying fundamentals of the market and the investment, of course, the numbers are right for the investment. Whitney: I appreciate you explaining that. One thing that resonated with me and I think a lot of listeners could learn from you in that aspect, where you talked about how you got started Neal. You know, you educated yourself and then you started volunteering. That allowed you to gain more education, but also just hone your skills and become really more valuable to someone that’s much more experienced in the business. Anna: Yeah. I think that it all worked very well. We all hear in this industry—and in any industry, but I think especially in real estate—that you need a mentor. Mentors are a wonderful thing to have and it’s always like, “Well, how do you get a mentor?” You don’t just go up to somebody and say, “Hey, I’d like you to be my mentor,” because that’s not going to fly very well. I was actually reading a book at the time that I was taking Neal’s class. I think it was called Barking Up the Wrong Tree, a very good book. It was talking about mentor and how you get mentors and it was saying that the way you get a mentor is by showing up. By adding value and volunteering. As I was taking Neal’s Bootcamp, which is an online, interactive Bootcamp, so he’s teaching live, but you are on Zoom. It’s a Zoom-type meeting. He said, “I need volunteers to help write an underwriting template.” I virtually raised my hand right away because I knew from my background, not only can I program the heck out of anything to do with a spreadsheet, but I also know how to manage teams of people. By adding value, I was able to get in and spend more time and prove myself. And so, I was adding value to his ecosystem, doing what I knew how to do, and over time, he became my mentor, but it’s not because I was specifically trying to chase him as my mentor. It happened very organically, and I think that was really the best thing and it really showed me that the way that book said just show up and add value to everything you can do because you never know where you’re going to find a mentor. I didn’t think Neal Bawa was going to be my mentor. I was just trying to learn as much as I could and contribute and use every part of my being and my experience to contribute and it worked out very well for me. Whitney: I didn’t expect us to even talk about that. I’m really thankful that we did because I hear it all the time and I, myself, went through the same process of trying to find a mentor. It’s very valuable to know how to provide value or have that mindset first, instead of just walking up and saying, “Hey, would you help me,” or “Can I do this?” or whatever and not really having the intention of helping that person or showing them that you care about their business first. Whitney: You being the lead underwriter and obviously you’re teaching others underwriting and I thought it would be a great place for us to start and maybe you can teach the listeners that are just getting started in multifamily syndication, help them get started in underwriting, some things that we need to know, maybe some terminology. I mean, we’re going to assume some terminology we already know, but I’d like to get into the weeds a little bit on how to underwrite a multifamily property. Anna: Okay, sure. It’s usually a very visual exercise. I teach webinars every month where we actually do a screen share and I teach a lot of terms and I also actually underwrite a deal during that time, so I’ll go over some high level things and some of the things that you need to know. First of all, I do want to say that underwriting is knowing the numbers of a deal are critical and knowing how to underwrite, I think is an essential part of being a syndicator. That being said, I think it’s also very valuable to know if you are not the right person on the team to be the underwriter, because some people, it just doesn’t resonate with them. I think in that case partnering—which I always think is a great approach to syndication in general—to partner with somebody that does love underwriting and maybe you as a person may be more of the people-oriented one that wants to go out and help raise money and the other person can be the number person. If you’re not the number person, partner up with somebody that is the number person and that loves doing numbers. That’s my first piece of advice about underwriting. Next, let’s assume you are the underwriting person. You love numbers and you’re just not quite sure how to go about it yet. The first thing you need to do is you need to get—obviously, find a property. Once you’ve got a deal, what do you need to analyze that deal? Well, you need what we call the financials for that property and the things that are in the financials, you typically will get this from the broker. Let’s assume that this is a deal that’s on-market as opposed to an off-market deal. If it’s an on-market deal, it’s going to have an offering memorandum, which is also called an OM or a flyer, sometimes they call it a flyer. That’s going to have a lot of marketing information, as well as facts about the property. The thing to understand is that while it can be glitzy and glossy and full of all kinds of beautiful pictures, that’s all very nice, there are facts in there and there is a lot of marketing. You can’t look at an OM and say, “Oh, look, they already did the underwriting for me because they’re showing me the pro forma of what this property is going to produce.” They’re showing you what they want you to believe the property is going to produce. It is up to each of us as good underwriters to go and get the underlying documentation of the financials and underwrite the property yourself. What you need in order to do that, in addition to the offering memorandum, you need what’s called the T12, which is known as the trailing 12 months. Sometimes it’s called a T6 or a T3, which would relate to a trailing 6 month or a trailing 3 month. Now, trailing meaning that it’s trailing backwards in time 12 months. You’re not looking for 2017’s finances from the property. You want, if this is October 2018, you want from September 2018 back to September 2017. Okay, so that’s the trailing aspect of it. The other thing you need is the rent roll. The rent roll will give you information about all of the units. Typically, they’ll have information to confirm the square footage of each size of the unit, who is in that unit, what is their name, when did their lease start, when did their lease finish, what is their current rent. Often it will show any delinquency, if you have a comprehensive rent roll. It has information about delinquency for that unit, as well as any other income that that unit is paying, such as pet fees, parking fees, any other rubs, which is utilities. If they’re paying back utilities, how much utilities are they paying back. You’ve got these three things: You’ve got your offering memorandum, your T12, and your rent roll. Then you need a deal analyzer, right? Which is typically a spreadsheet. Once in a while it can be a web-based platform, there’s lots of them out there. 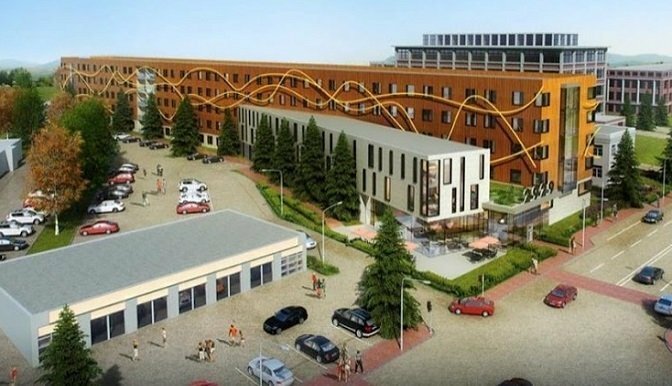 We have one that actually, I architected with a couple of people from the MultifamilyU Bootcamp, so we put together one that’s kind of oriented towards students that are learning, but there’s lots of them out there. If you Google for it, you’re going to find a ton of them. You’re going to enter the information. You’re going to enter the unit mix. You’re going to enter all of your T12 information. The thing that you need to evaluate—this is where it gets tricky and you need experience—the two things that you’re going to need to evaluate are your forecast of what the rents will be. Looking at what the rent roll is, that doesn’t mean what the rent should be. They could be under on their rents. They could be over on their rents. You need to get a real sense of what the market is paying for rents. Now, you could go to Apartments.com, you can go to Craigslist. If you have access to paid services, we use CoStar for that type of thing. I also am a big fan of a product called Enodo. It’s automated underwriting that’s a web platform. Enodo is spelled E-N-O-D-O. We have partnered with them because we really love their platform and I do a lot of beta testing for them, so I’m a big fan of theirs. Enodo is something that you can get market rents from as well, and then the other thing you have to figure out is forecasted rents. So, if I’m going to buy this unit, let’s assume that we’re value-add syndicators, okay? We like to buy the NC class property and we want to upgrade the units to bump the rents. This is a pretty standard thing for syndicators. Now we need to figure out in the underwriting sense how much am I going to be able to push the rents if I do these things that I think I want to do? I want to spend $4,000 a unit, I’m going to upgrade the countertops, I’m going to put some backsplash on there and change out the flooring. All of these things I’m going to do, how much can I bump the rents based on competitive rents in the market? All right? So, we’ve got our market rents, our forecasted rents, and then the other thing you need to know about underwriting to get all your numbers dialed in, is you need to know your forecasted expenses. The T12 tells us our current expenses, just like the rent roll told us our current rents. Now, the T12 says, “What is the owner paying for all of these different things?” What is the owner paying for repairs and maintenance? 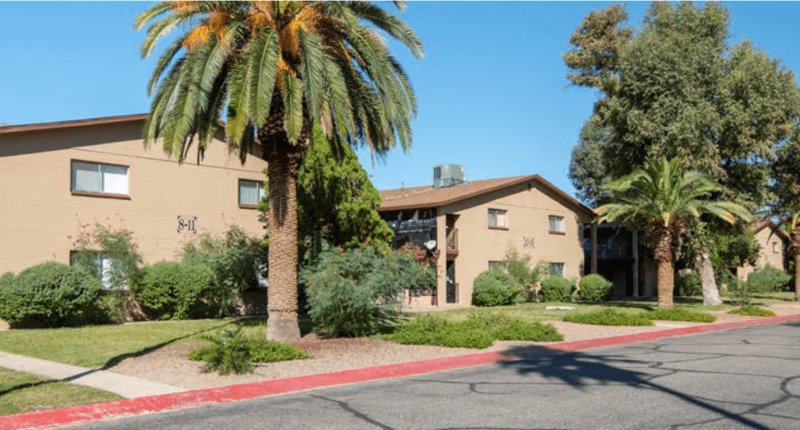 What is the owner paying for property management? Maybe they’re managing it themselves. What does the insurance cost? What is the property tax? All of these different line items are in the T12. Those are the expense items and then of course you’ve got the income items as well in the T12, but let’s focus on the expenses. Now, that owner was paying those items. That’s what they were paying, but you need to figure out what you will be paying. Is it reasonable what they were paying? For repairs and maintenance, maybe they were paying $200 per unit over the course of the year for repairs and maintenance, but maybe that’s because the cousin was doing the work and so they were getting a great deal because the cousin was actually living at their house or something. $200 a month is not very much for repairs and maintenance so you wouldn’t want to take that person’s number. You need to use industry standards and make sure that you are underwriting to numbers that will work for the building. You have to go through all of those things for each expense item. Anna: Yeah, that’s a great question, Whitney. Often, there are industry standards and those can be found typically within a deal analyzer, like our deal analyzer, just like many of them, right in that area where you’re documenting your expenses, there’s a section right next to it that shows you the industry standards. That’s kind of an alert for you right there. Sometimes besides that, the industry standard, for example, for repairs and maintenance is $400-800. Well, should you use $400 or should you use $800? That’s a big difference. To know what you should do for that building, that’s where you’re going to need to do some research and you can research online—I’ll get back to that in a minute—but you really should talk to property managers in the area. One of your best sources for operating expenses in a specific market are property managers. If you think about it, some people say, “I mean, they’re not my property manager, why would they tell me about operating expenses for a building I don’t own?” Well, here’s the thing: You could own it and they are looking at it as a job interview because they’d like to be your property manager. Again, property managers are a great resource for verifying operating expenses, as well as revenues, which is your operating income. They know what rents. If you’re looking to do your research on rents, property managers are also a great resource on that. So, key resource there. In terms of researching online, again, you can use paid resources like CoStar. Enodo is an incredible resource for operating expenses. I love that platform just for that. It actually shows you market benchmarks across all of the apartments in the area and what they’re saying. It’s like your best friend’s property manager. Like every property that’s in the area, it’s showing you the operating benchmarks, which is like some crazy magic that they do, it’s phenomenal. Operating expenses are very important. And then, after you got all that information in there—and I know that’s a lot of different things I talk about, which is why I say it really is a very visual thing to learn, which is why we use screen shares and I actually show the deal analyzer and show the T12s and all that stuff. Once you get all that stuff in there, your spreadsheet is going to crunch the numbers and tell you the returns. So, in syndication, we typically will have a percentage of the returns that are going to the investor, a nice, healthy percentage, a percentage of the returns that are going to the promoter/sponsor/general partner. Those are all different words for the same thing. Maybe the investor, the limited partner, is getting 70%, that’s a pretty common cut, and the general partner is getting 30%. The deal analyzer is going to show you, after you’ve input all those other numbers, how this deal will pan out. How much each set of people would be making. And you can pretty much see right away if it’s a deal or no deal. Some things you could do if the returns are too low, you could play around with your numbers and say, “What if I give the investors 80%? What does it look like then? What if I give the investors 85%?” You can start playing around with numbers and see if there’s any way you can make this deal work. Of course, the other thing you can do is play with the purchase price. This is the asking price that they’re asking on the listing, it’s, say it’s 10 million, but my numbers don’t work at 10 million, but if I drop it down to 9.2 million and I switch my syndication structure such that my LPs are getting 80% and my GPs are getting 20%, then my numbers start to look good. Once you get everything in there, then you start adjusting your ingredients, pulling different levers to see how your deal is going to work. I also want to mention one thing that we haven’t talked about yet with underwriting, which is really, really critical, and that’s your debt. Once you have a deal, you’re going to have to assume some type of debt. I say it’s never too early to start working with lenders to actually put together your personal financial statement, start talking to lenders about loan terms because in your underwriting, you have to put in some type of a loan term. What type of loan are you looking for? Are you looking for a 5-year loan, a 10-year loan? These days we’re really big on long-term fixed debt. We’re looking at 10-year terms that are assumable, or 10 to 12-year terms. 4 to 5 years IO, some cases 6 years. IO is interest only. The debt on your project can really make or break your deal. Don’t underestimate how important it is to input good numbers related to your loan and also to spend a lot of time talking to lenders. Just like you should be talking to property managers, you should be interviewing lenders and getting really experienced because your income related to a deal can just change so much once you have the right loan on the property. Because interest rates are likely, very likely, to be going up in the next few years, we’re strong believers in long-term fixed debt, which again, would be the 10 or 12 years over a bridge loan. Okay? Bridge loans tend to have variable interest rates and are a much more risky loan product in today’s landscape. We’re more favorable towards long-term debt. Whitney: Is there a situation right now where you would consider some type of bridge loan? Anna: There are certain properties that are not stabilized because for agency debt, which is another term for Fannie Mae and Freddie Mac, those tend to require the property be stabilized, have a certain level of occupancy, perhaps 90% or above. If you have an incredible opportunity on a property that would not be considered stabilized by agency debt, then you almost certainly have to go into a bridge loan. I would consider that a bridge loan if the deal—the opportunity was so good that it was worth the risk that are inherent with bridge loans right now and I had a clear, clear exit path, whether maybe to stabilize the property or to do whatever it needed to do to get to the point where I could refinance it was a short time period, less than 12 months, and I had locked in my next step. You can get your bridge loan and then you lock in your perm debt, your permanent debt, as part of the bridge loan. It’s like you’ve got your exit path laid out. That’s how I would approach it. I would not do a bridge that’s like a 3-year bridge and it’s a 3-year process to get to that stabilized point before I could transfer it to a permanent debt situation. I would think that’s a little too risky in this timeframe. Whitney: I appreciate that. A few more questions for you before we have to go, but are what are the biggest problems you see syndicators making in analyzing deals right now? Anna: Yes. I think the things that I just brought up are the most tricky part right now that people need to be very careful about, the loan terms they’re making, and the risk they’re taking on. The prices, as we all know, have been going up, up, up in all markets, for multifamily projects. Now that the interest rates are going up, there’s been a slowing in many markets of the pricing going up, but the prices are still pretty high. I think that’s the biggest problem, is people taking on a lot of risk instead of really pushing to maybe find off-market properties and stick with agency debt, long-term stabilized debt. We actually have two properties we’re closing right now that we’re in contract with. Both of them are off-market and both of them are long-term debt and are able to deliver 20% average annualized return to our investors over 10 years and over 10% cash on cash. The deals are out there. You just need to look hard and be careful about bridge debt. Whitney: Awesome. What tells me that a syndicator is being too aggressive in their underwriting or maybe, you know, as a passive investor or maybe somebody that’s raising capital and partnering on deals, what’s some things I need to look for to say, wait a minute, they’re being too aggressive? Outside of maybe the bridge loan that you talked about, what’s some other things that would raise red flags? Anna: Well, I think that things that can really triggering underwriting, the exit cap rate should always be evaluated. If somebody puts a dream exit cap rate in there, that can really jack up the returns on a project but not realistic. The exit cap rate should always be scrutinized. And the rent forecasts. If somebody is not putting in realistic rents, then they can make a project look better than it really is. Those are the two main things that can really make a project not work well. Then other than that, I mean, I don’t know that investors are going to really understand expenses, to be able to say, “Hey, those expenses don’t look right,” but I would encourage people to really look at the income and make sure that they’re able to substantiate the rent bumps that they’re saying and the timeframe to turn it around, as well as their exit cap rates. What is their exit strategy and what are they thinking they’re going to be making? Your exit cap rate triggers what the property is worth at the end because in order to evaluate—this is the beauty of multifamily, by the way—the way we determine what a property is worth, is involved with a cap rate. What is your current cap rate? Imagine we’re doing single family and it’s right next to a multifamily. If I own that single family and somebody said, “How much is your single family worth?” I’d say, “Well, my neighbor sold theirs last week. What did they get for theirs? That’s how much mine is worth.” With multifamily, we control the value of that asset and this is the beauty of it, because it’s not based on what my neighbor down the street sold their multifamily for, it’s based on how I’ve run my business—which is that the multifamily is a business—how I’ve lowered my expenses, how I’ve raised my income, to create a net operating income, which is basically your income minus your expenses gets you your net operating income and that, interacted with a market cap rate, that determines the value of your building. That’s a beautiful thing that we can control the value of a multifamily property. But when you’re forecasting in the future as to what your property is going to be worth, you can see how that exit cap rate could be manipulated by the underwriting—or whoever is behind the wheels of the underwriting—to be a little bit more optimistic than they should be, and that could inflate what they think the property is going to be worth, when that’s really never going to happen. That’s something that should be very carefully looked at. Whitney: And before we have to go, tell us the number one thing that’s contributed to your success in syndication business. Anna: Underwriting. [Laughs] Knowing the numbers. I’m always questioning the numbers. I’m always digging into the numbers. I guess I would say two things. Knowing the numbers and digging, digging, digging, and partnering. I think that syndication is a wonderful industry to partner in. There’s so much to learn from other people. There are so many deals out there that you might not be able to take down on your own, but if you partner with other key people that enhance your own set of skills, then it’s just a great way to operate. We work with different partners. We’ve got different partners on different deals and I think it’s a great strategy, so partnering, as well. Whitney: Awesome. Thank you so much, Anna, for your time. You’ve just explained this so well and in so much detail. I can tell you teach it a lot. Tell the listeners how they can learn more about you and get in touch with you. Anna: Sure. You can get in touch with me through the Grocapitus website. My email is Anna@Grocapitus.com. My name is spelled A-N-N-A. Grocapitus does not have a W in it, although you may think it does. It is spelled G-R-O-C-A-P-I-T-U-S dot com. Then I also teach on MultifamilyU, which is our sister company. You can find me on Bigger Pockets and Facebook. Whitney: Great. Well, thank you again, Anna, for being on the show. You’re an amazing guest and I appreciate the listeners being here today and we hope that you will join us on the Facebook group so you can connect with people like Anna and we can have discussions about what we’re talking about on the show and we can all learn this business better together and we will talk to all of you tomorrow. Anna: Thanks, Whitney! Thanks, everybody! Announcer: Thank you for listening to The Real Estate Syndication Show brought to you by Life Bridge Capital. Life Bridge Capital works with investors nationwide to invest in real estate, while also donating 50% of its profits to assist parents who are committing to adoption. Life Bridge Capital, making a difference, one investor and one child at a time. Connect online at www.LifeBridgeCapital.com, for free material and videos to further your success.